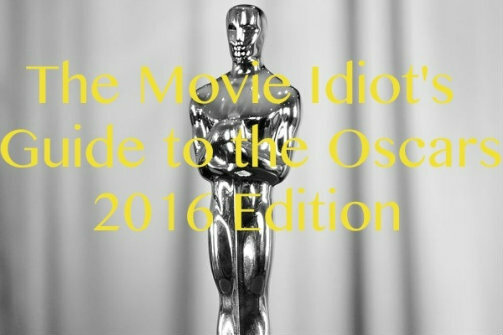 BOTTOM LINE: A hilarious send up of the offerings from this year’s Oscar nominees. As preparations commence for the curtains to go up each year at the Oscar’s, nothing is quite as satisfying as parodies of the lauded, overly-hyped films and actors nominated each year. Hence the appeal of Billy Crystal’s opening segment (or this year’s equivalent when Chris Rock tried to make some of the nominated films more “black”). For the second year in a row Jeff Ronan and Matt Bovee put together a show parodying and summarizing the year’s nominees. It is certainly a show that has the devotion only a true film lover could create, despite the skewering of some well-known films and stars. In the show, Ronan, a devoted film geek, earns the auspicious honor of introducing the Academy’s voters to this year’s nominees, while his clueless sidekick Bovee gets the job because his aunt is president of the academy. Bovee’s character has not seen any of the nominated films so he attempts to reenact the films based upon what he imagines the plots to be, such as reenacting Spotlight as the most clichéd episode of Law and Order ever. The duo hit their comedic climax when they attempt to reenact the films with accuracy. The two of them recreate The Hateful Eight with a shootout where everyone dies and both admit they had no idea which character they were playing while shooting. They comment on the simplicity of the setups for both Carol and Sicario, proving that minus character development and dialogue both plots seem a bit absurd. Ronan also showed his skill for celebrity impersonations as he did a spot on impersonation of Christopher Walken. Overall, Jeff Ronan and Matt Bovee prove themselves to be both skilled comedians and performers as well as lovers and experts of all things film and pop culture. I laughed quite loudly throughout the entire duration of this hilarious show. My only suggestion is that they find a way to have more performances for a longer period of time next year.